If you like spending your holiday in sprawl area, this is a place for you! While it’s the undeniable cultural, economic and political heart of the nation, Yerevan can at times feel like a city on permanent holiday. All summer long Yerevanites saunter up and down the main boulevards, preening in high fashion and fast cars while occasionally popping into a parkside café to schmooze over a drink or two. It’s the most laid-back capital in the Caucasus and it’s easy to slide into a torpor for a day or two. The city has some lovely 19th-century Russian edifices in its central core plus rings of parkland and handsome brick squares. Outer areas maintain an air of Soviet sprawl but these are limited by steep hills and gorges. Yerevan’s museums and monuments could keep you busy for a few days but the best thing about the place is the people. Expressive black eyebrows, proud noses and classical Greek and Persian profiles appear everywhere, in a street culture ­somewhere between Marseilles, village Armenia and old Beirut. Yerevan is a relaxed and safe place where people live at one pace while the traffic goes at another. The cultural life is intense for a city of its size, including dozens of theatres, concert halls, galleries and live music clubs. 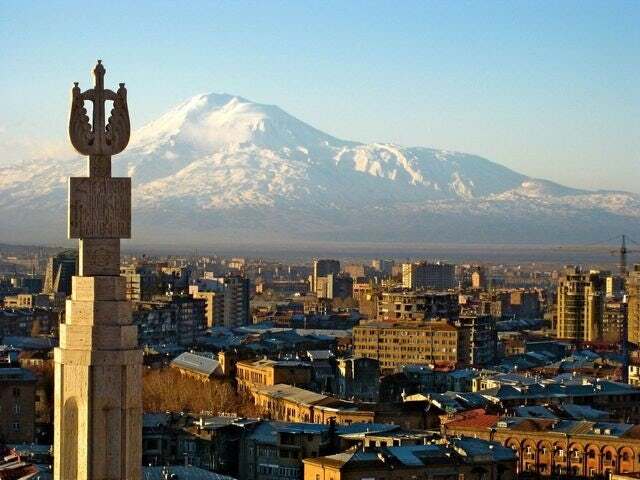 Contact us now and get ready for your next trip in Yerevan!